For additional information and to learn about benefits* associated with different levels of support, please contact Martha Brassel at 970.777.2015 or mbrassel@vvf.org. Please note our new mailing address is: PO Box 6550 Avon, CO 81620. *If a donor is giving to VVF through an entity in which you have already received a tax-deduction, such as a Private Foundation, DAF, Charitable Trust and/or if a portion of your gift is being made through a Matching Gifts Program, there may be restrictions specific to receiving benefits. Please contact your tax-adviser if you have questions regarding your specific situation. The Vail Valley Foundation cannot knowingly facilitate a donor receiving an improper tax deduction or other benefit nor can we knowingly accept a gift that would result in impermissible private inurement or private benefit, an “excess benefit transaction” (as defined in section 4958 of the Internal Revenue Code), or self-dealing (as defined in section 4941 of the Internal Revenue Code). The Gerald R. Ford Amphitheater and Vilar Performing Arts Center have been home to hundreds of unparalleled Vail Dance Festival performances, ranging from the Bolshoi Ballet Academy in 1989 to New York City Ballet MOVES in 2011. The success of the Festival and its programming is made possible by the generous support of patrons, volunteers and community sponsors who donate and underwrite the cost of our various programs. Ticket sales account for only one-third of what it takes to produce top dance programming for nearly 25,000 Vail Valley residents, guests and students each year. Premium seats in sections 2 & 3 at the GRFA and in the center Orchestra at the VPAC are held and designate for patrons at the Gold Dress Circle level and up through June 15. Place your orders early to pick your seats first. Silver Dress Circle Members can upgrade their seats to the premium seating area after July 18 based on availability (upgrade fees will apply). We appreciate you adhering to these deadlines, so we can properly serve all ticket buyers. *Deadline to be included in the Festival program is April 30, 2019, all membership recognition after that date will be in the nightly inserts. Recognition in the program book for underwriting an International Evenings of Dance artist or a new work commissioned for the Vail Dance Festival. 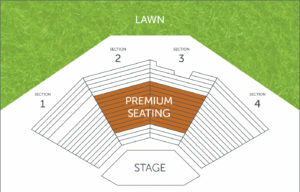 Four (4) complimentary reserved seats in Sec. 1 or 4** at the GRFA. *Memberships must be confirmed by April 30, 2019 to be listed in the Vail Dance Festival Program. 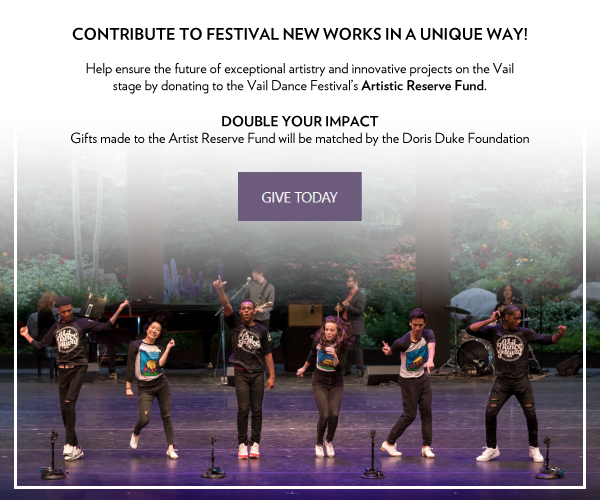 Help ensure the future of exceptional artistry and unique innovative projects on the Vail stage by donating to the Vail Dance Festival’s Artistic Reserve Fund. The Artistic Reserve Fund was established during the Festival’s 30th Anniversary Season in 2018. You can support this Fund in multiple ways. 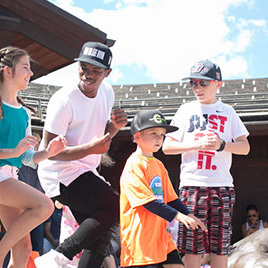 Text VAILDANCE to 41444 to donate or make a donation at the page linked below. Thanks to the Doris Duke Charitable Foundation, gifts made to the Artistic Reserve Fund will be matched. 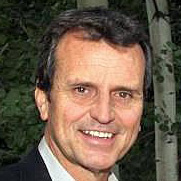 Arte Davies loved the Vail Dance Festival and was an integral part of its growth and success over the years. His personal and amiable style of caring for the artists, staff, patrons and crew will be fondly remembered forever. From 1994 through 2015, Arte was a permanent fixture at the Gerald R. Ford Amphitheater, always present for countless magical summer performances and events. To keep Arte’s spirit alive, donations collected through the Arte Davies Memorial Fund support the Vail Dance Festival Internship Program. Arte had a special affinity for the Festival interns and each group, in turn, adored him and valued the knowledge gained from working with him. Each summer, Festival interns are trained in Arte’s philosophy and hospitality practices. At the conclusion of each Festival, one intern is nominated by their peers to receive the Spirit of Arte Davies Award. Launched in 2016, the Community Arts Access (CAA) program is working to eliminate socioeconomic barriers to the arts by providing complimentary performance tickets to individuals and families who could not otherwise afford to attend Festival performances. For opportunities to sponsor a family or contribute to this critical outreach program, please contact Cathy Heller via email.